The world’s biggest celebration of Indian cinema, the S-CROSS IIFA AWARDS will be held in Kuala Lumpur on Sunday, June 7th at the Putra Stadium. The S-CROSS IIFA AWARDS will be headlined by the biggest superstars HrithikRoshan, Anil Kapoor, Ranveer Singh-ArjunKapoor, ShahidKapoor, SonakshiSinha, Parineeti Chopra, ShraddhaKapoor, Priyanka Chopra-FarhanAkhtar and RiteishDeshmukh-PulkitSamrat. The S-CROSS IIFA AWARDS and the IIFA ROCKS are directed by Wizcraft International Entertainment, choreographed by ShiamakDavar and will be broadcast for the first time on India’s leading hindi entertainment channel, Colors Viacom18. On June 6th, as a major highlight of the Videocon d2h IIFA Weekend, the IIFA Fashion Extravaganza would be hosted by NehaDhupia and VivekOberoi. The extravagant Fashion showcase would feature renowned designers, Masaba Gupta and Rocky S. The showstoppers for this lifestyle showcase include BipashaBasu, DiaMirza, Aditi RaoHydari, KritiSannon, Mika Singh, AftabShivdasani and HumaQureshi among others. The IIFA ROCKS being held on June 5th at the Istana Budaya would be hosted by AyushmannKhurrana and Parineeti Chopra. Performers include SonakshiSinha, Mika, Nakash, Jacqueline Fernandez, Aditi RaoHydari, Lisa Hayden, Lauren Gottlieb, Javed Ali, AnkitTiwari, KanikaKapoor, Nooran sisters and MalaikaArora. 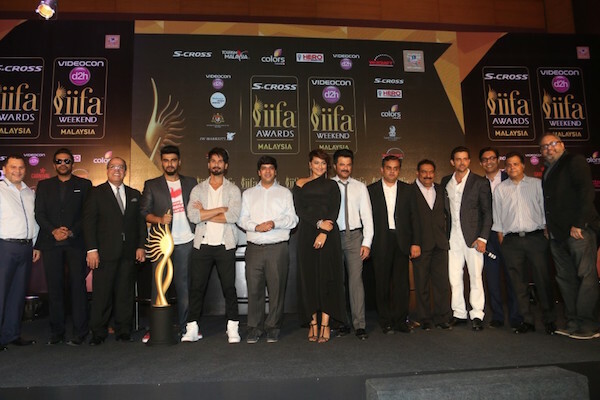 The IIFA Technical Awards would be presented at the IIFA Rocks celebration. The film is a bitter-sweet comedy drama about a family that takes a trip which changes them forever. The ensemble cast includes Ranveer Singh, Anushka Sharma, Priyanka Chopra, FarhanAkhtar, Anil Kapoor and Shefali Shah. DilDhadakneDo is directed by ZoyaAkhtar and produced byRiteshSidhwani and FarhanAkhtar from Excel Entertainment and Junglee Pictures. “It has really sent a buzz through the city, that IIFA will hold their prestigious awards event in Kuala Lumpur. We at the JW Marriott and The Ritz-Carlton Kuala Lumpur are proud to be associated with this prestigious event and we look forward to welcoming IIFA to our hotels. With the great organisation of IIFA, we are excited and are anticipating an outstanding awards weekend with memories that will last forever.” said Mr Mahmoud Skaf , General Manager of The Ritz-Carlton and the JW Marriott Kuala Lumpur. Tickets for the biggest celebration of Indian Cinema abroad are available for sale. Log on to www.myticket.asia or call 03-8080 8700 or 017 2447139. Patrons wishing to purchase VIP Hospitality Tickets can send an email to viphospitality@iifa.com.